According to the National Institute for Drug Abuse, 115 people die every day in the U.S. after overdosing on opioids. This public crisis continues to grow in intensity, damaging families and communities while also straining institutions — from law enforcement to our healthcare systems. One of the most popular opioid painkillers at the root of the plight, OxyContin, has been available since 1996. 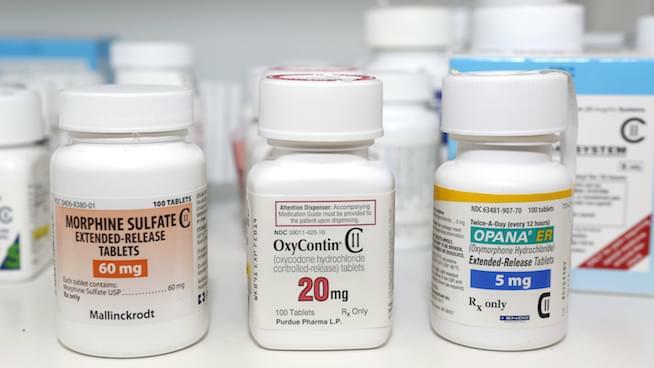 Oxy’s manufacturer, Purdue Pharma, had long claimed that their product was a safe drug for pain management. The company even continued to assert the declaration while the epidemic grew throughout the country. In the new book, “PAIN KILLER: An Empire of Deceit and the Origin of America’s Opioid Epidemic,” author Barry Meier details Purdue Pharma’s deceit, including their persistent push to market the drug in spite of the company’s early knowledge that OxyContin was dangerously addictive. Meier, also a former New York Times reporter, joined Armstrong & Getty for a deep dive into the shocking information he uncovered during his research.